Before commercialization and marketing, regulated companies (i.e. FDA, Health Canada, EMA, MHRA etc.) have a mandate to provide sufficient evidence that their manufacturing, packaging/labelling, storage and transportation processes will consistently meet predefined quality targets and performance expectations. Only a scientifically rigorous and robust process validation methodology assures continual safety, identity, strength, purity, and quality of therapeutic products. As demonstrating process compliance with regulatory requirements becomes increasingly complex for the life sciences industry, using an experienced and knowledgeable service partner like AXSource Consulting to guide these efforts will likely pay huge dividends. AXSource Consulting uses a lifecycle approach to process validation that provides a well-planned, risk-based and cost-effective approach to ensure an effective control strategy for your new or marketed products. Our approach utilizes data sets acquired throughout the process qualification activities to determine when statistically significant variability estimates and evaluation have been achieved and thereby strengthening and reinforcing confidence that the process is highly efficient, compliant, and productive. 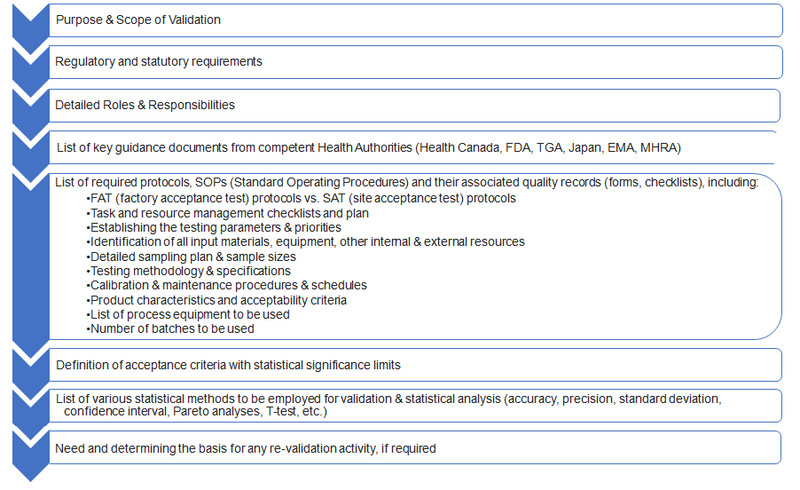 The basis for development of this methodology goes back to globally harmonized process validation approaches including FDA Process Validation: General Principles and Practices, and it has been updated to include EU Annexure 15, WHO Process Validation Guide, concepts covered in ICH Guidelines from Q8 to Q11 and China’s FDA Validation Guide.